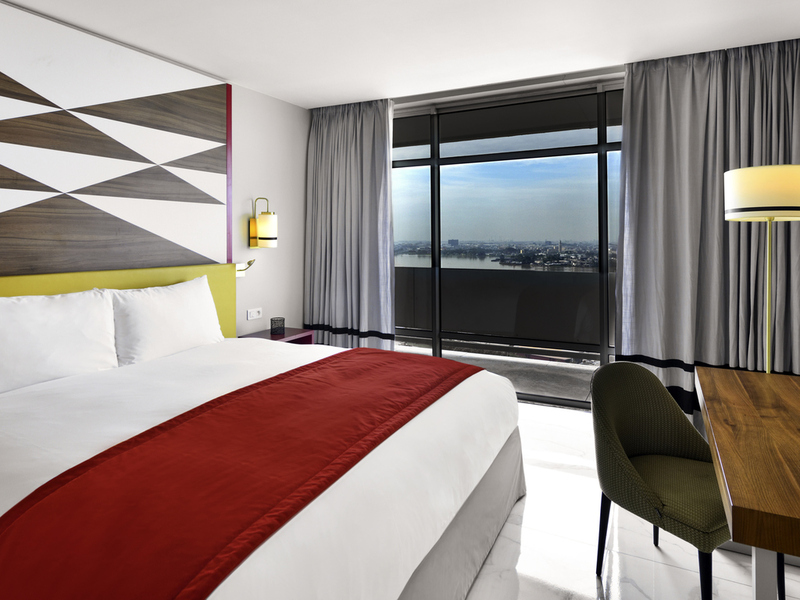 The iconic Hotel Ivoire, built by Moshe Mayer in 1963 and beautifully renovated in 2011, will envelop you with its contemporary atmosphere and fiery colors. African art and cocoa add a touch of the exotic to your stay on the Ivory Coast. Relax in the friendly atmosphere at the Bar du Lac and indulge in one of the delicious cocktails. 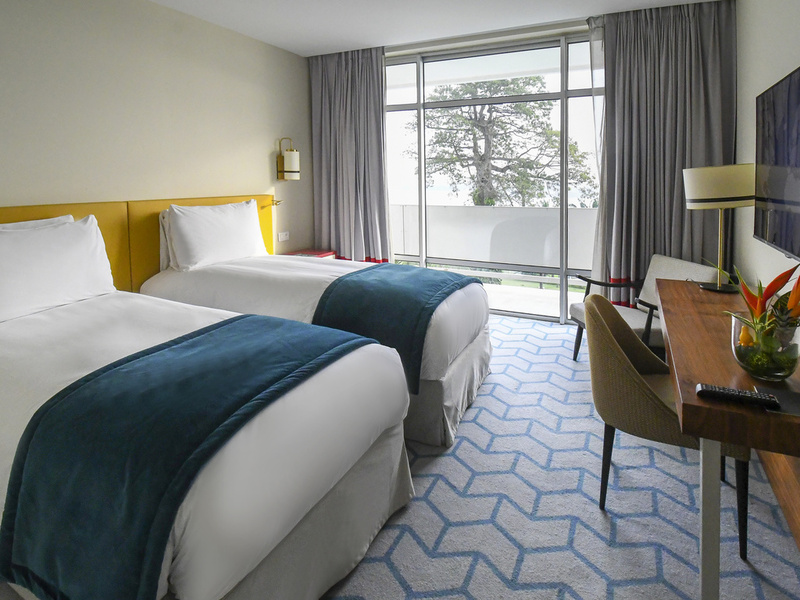 The hotel has six modern conference rooms equipped with high-tech audiovisual equipment. Our chefs marry French culinary expertise, creativity, fresh produce and regional flavors. The sensory atmospheres in our hotels have been designed to evoke the best of French tradition and the French way of life. 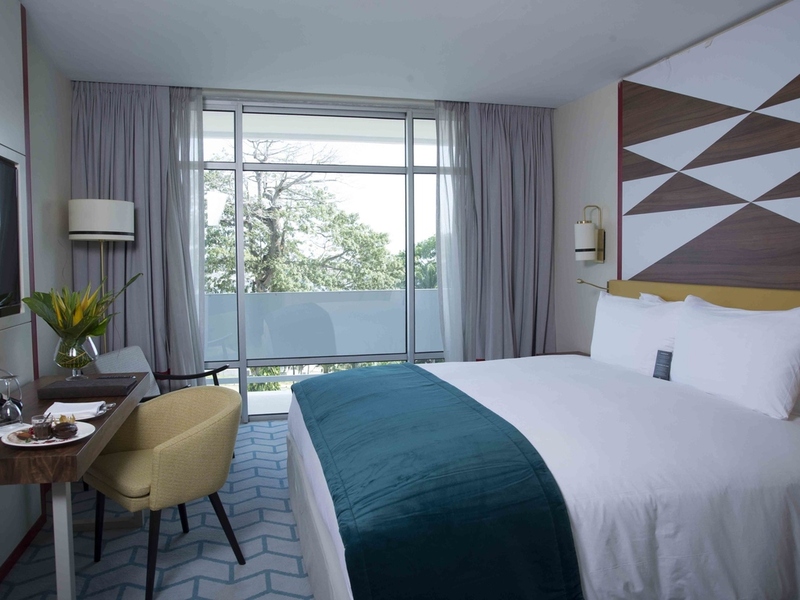 Life is Magnifique in Abidjan..
Set in the chic district of Cocody in Northern Abidjan, Sofitel Abidjan is convenient for Cocody University, foreign embassies, and Abidjan's cultural attractions. Le Plateau business district and Felix Houphouet Boigny Airport are a short drive. From Abidjan's Felix Houphouet Boigny Airport (19 km), go northwest over Blvd Valéry Giscard d'Estaing. At the roundabout, right on Pont General de Gaulle, cross the bridge and merge onto Blvd de Gaulle. Exit Blvd de France, then right on Blvd Hassan II. 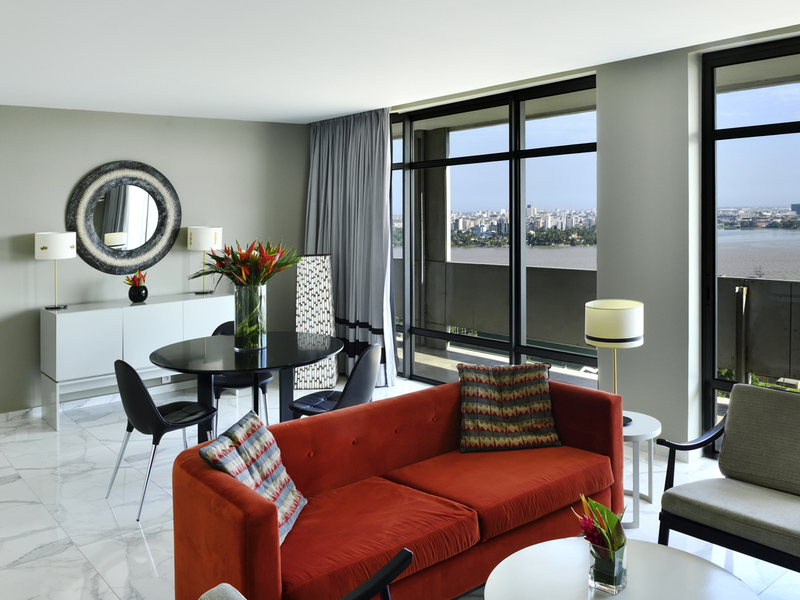 Our suites offer unrivaled comfort in Abidjan, with French elegance and African touches. 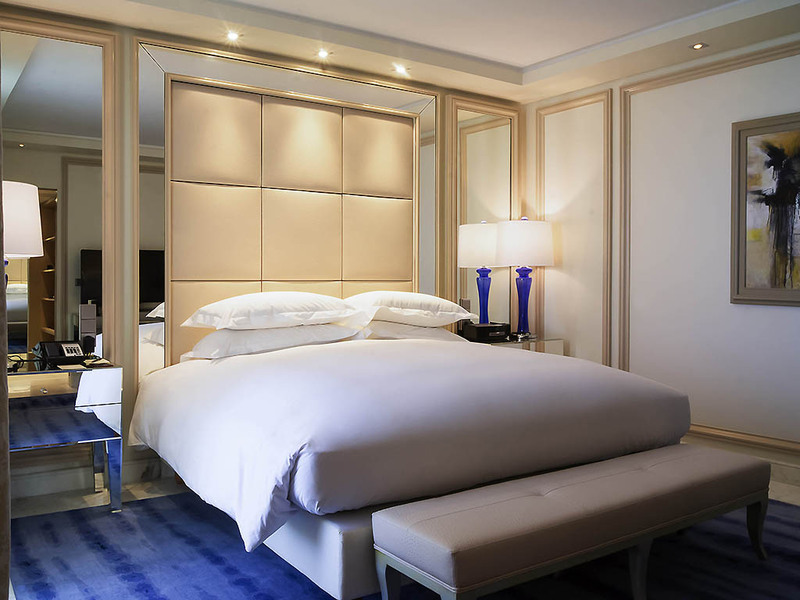 The Prestige Suites boast a chic lounge and marble bathroom, while the Opera Suite with 2 bedrooms offers exceptional space. Our Abidjan restaurants offer a harmonious blend of African flavors and international cuisine. Meet for breakfast at the Pili Pili, near the lake, or at the Toit d'Abidjan at dinnertime for delicious French cuisine and a remarkable view. The cosmopolitan Sofitel Abidjan bar offers an uninterrupted view of the lake and exceptional light. This chic and relaxed location is perfect for informal get togethers and offers freshly-made cocktails and cocoa treats. Visit La Gourmandise for relaxed all-day dining by the hotel's manmade lake, whether in the contemporary dining room or out on the large terrace. Buffets and à la carte menus feature international and African dishes made with fresh, local ingredients. Shoot up to Abidjan's finest French gourmet restaurant for dinner with a view over Abidjan's glittering rooftops. Executive chef Pascal Favier recreates the authentic flavors of France using the best of Ivory Coast's fresh fish and exotic fruits. Pop into Sofitel's lobby bar for freshly brewed coffee, signature cocktails and handmade chocolate treats showcasing the best of Ivory Coast's famed cocoa. 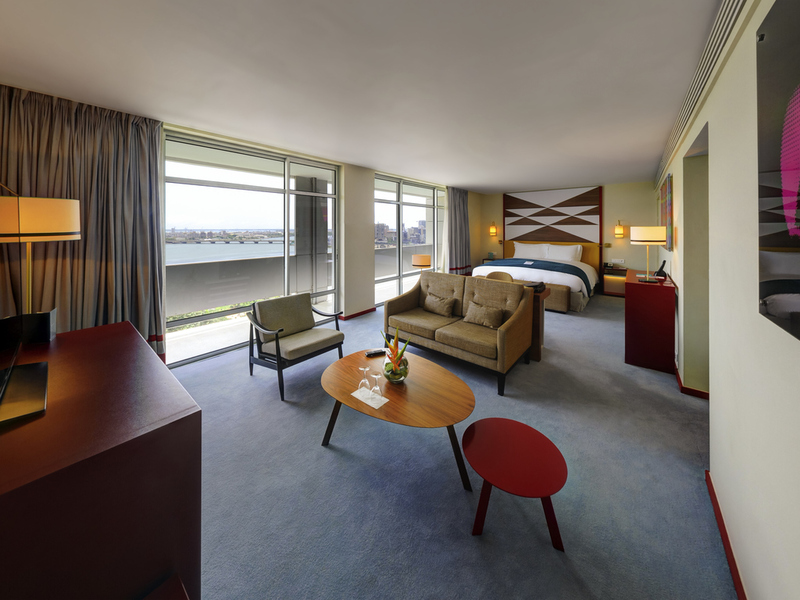 Views over the manmade lake and Ebrié Lagoon add to the relaxed, international atmosphere. Soak up the sun while sipping an iced tea or your favorite cocktail beside the swimming pool. Or cool off in the pools with friends or family! The Abidjan Conference Center hosts prestigious galas, seminars and conferences. The modern reception and meeting rooms and 1650-seater auditorium with its state of the art audio-visual system mean you can combine work and pleasure. Free WIFI, a business center and secretarial services make your business travels to Abidjan easier, in addition to the proximity to the embassies, the University and the Plateau district. And why not celebrate a spectacular wedding, African style, at the Sofitel Abidjan Conference Center? Exchange your vows by the lake, have photos taken in the lush gardens, enjoy a sumptuous banquet... Have a truly unforgettable day! 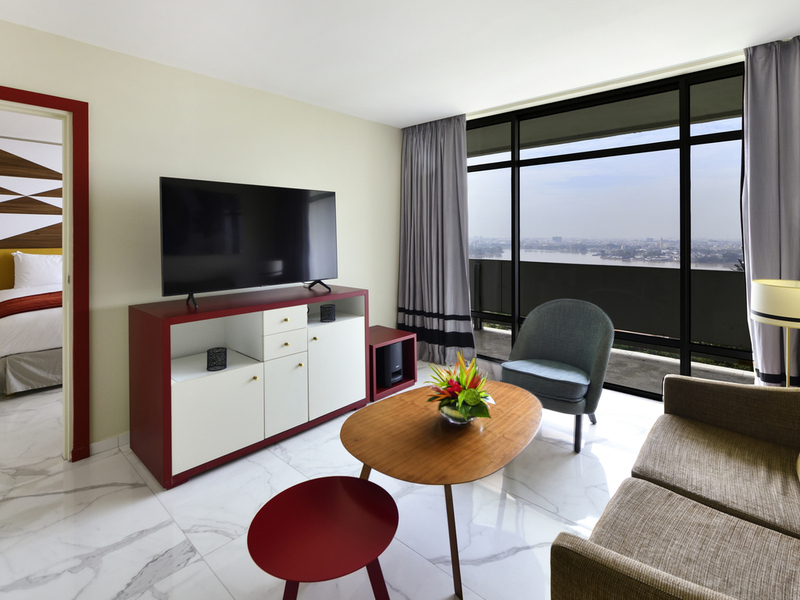 Nestled in a luxuriant setting, the SoSPA welcomes you into serenity and relaxation. The SoSPA has chosen to rely on the expertise of two partner brands, CINQ MONDES and GEMOLOGY, for their innate sense of elegance, quality welcome and service. Outstanding service from a friendly team, a modern and bright fitness room, swimming pool, tennis court, secure car park, driver at the airport. 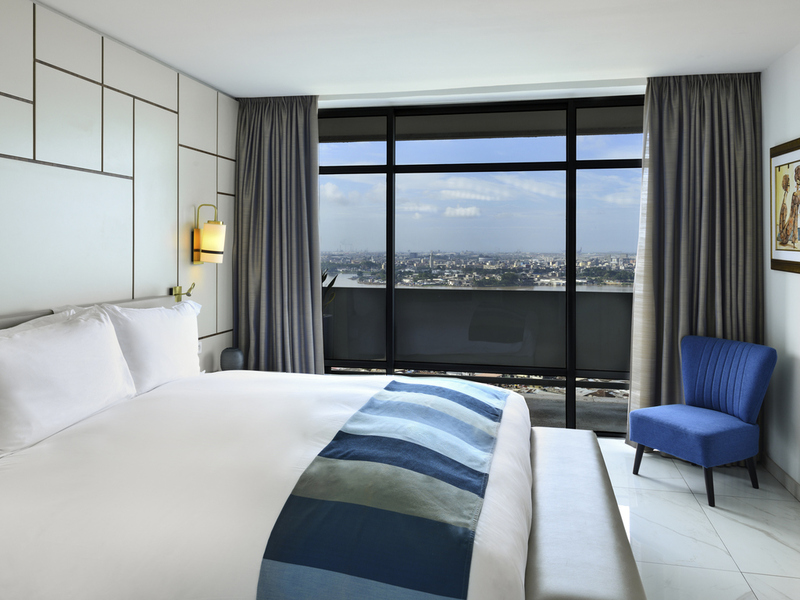 All the benefits of an international 5-star hotel in Abidjan with a touch of French culture.